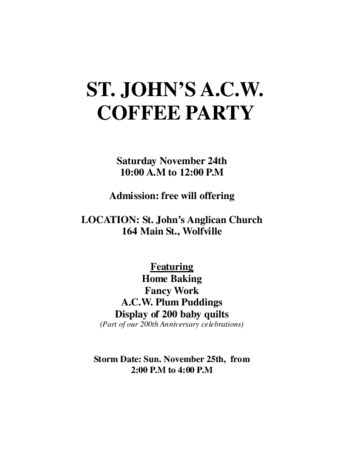 St. John's Christmas Coffee party. Price this year will be a free will offering. 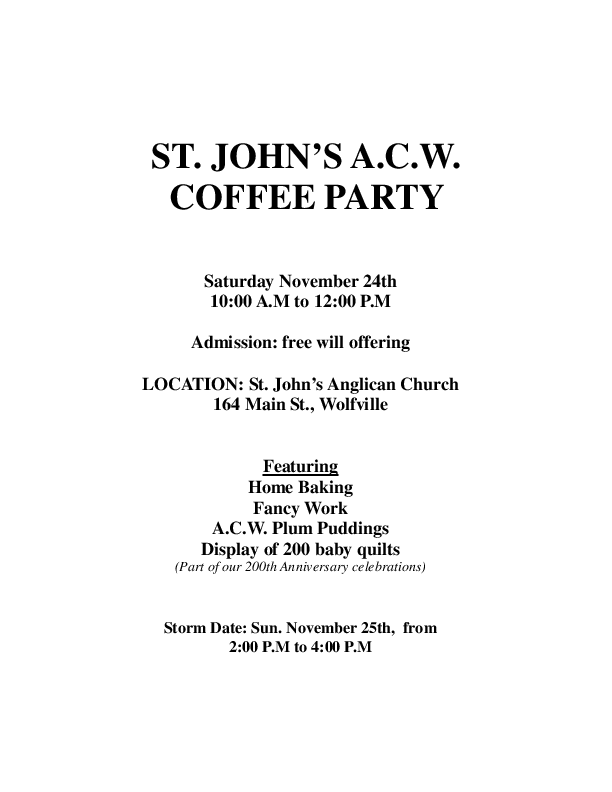 We will have our famous Plum Pudding for sale as well as home baking & fancy works for sale. Display of 200 baby quilts, as part of our 200th Anniversary Celebrations year.